In his current role, Greg manages a team of Account Managers, Underwriters and Technical Specialists to provide property insurance to many of the largest companies in Australia and New Zealand. Greg is the industry leader for the Health, Education and Manufacturing industries. During his time at FM Global, Greg has held several other roles including managing FM Global Business Risk Consulting throughout the Asia Pacific region.Prior to joining FM Global in 2009, Greg had 11 years experience in banking, financial services and corporate consulting. 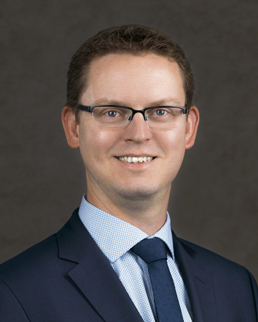 Greg holds a Graduate Diploma of Finance(Risk Management) from ANZIIF, a Bachelor of Business from University of Technology (Sydney) and a Master of Business Administration(MBA Exec) from the University of New South Wales. Greg is a Chartered Accountant and a Chartered Insurance Proffessional. Greg is a fellow of the Australian and New Zealand Institute of Insurance and Finance and a graduate member of the Australian Institute of Company Directors.